Owning and managing rental housing in California is more complicated than it used to be. Why not get help managing your investment? 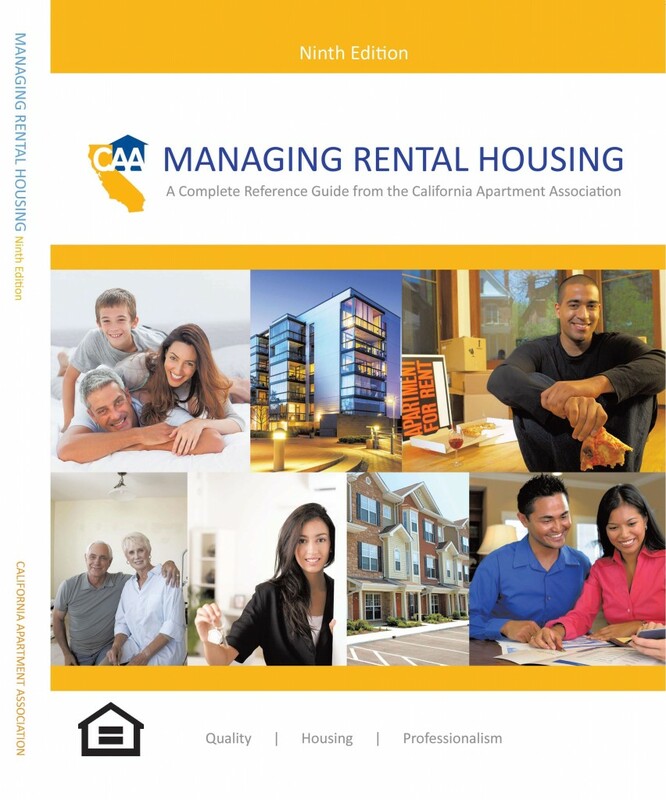 Get important guidance from the California Apartment Association book Managing Rental Housing. It can help you successfully create, maintain, and terminate a tenancy by providing step-by-step instructions. Learn the importance of tenant screening policies, fair housing laws, and security deposits. Sample legal rental forms (specific to California) including the rental agreement, lease agreement, and rental application, are provided in the book. CAA is committed to helping you succeed in your rental housing business! If you already own the ninth edition of Managing Rental Housing, click here to download the 2016-18 Supplement.